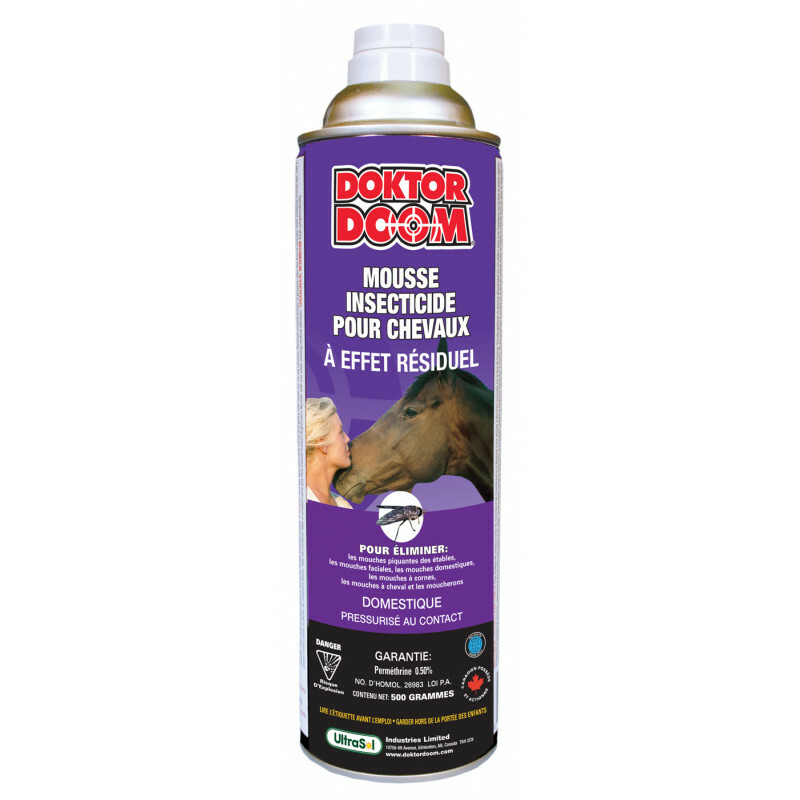 ► Mousse Application- apply to a cloth and place it where you want it- no over spray and or waste. ► Permethin provides a lasting Residual. 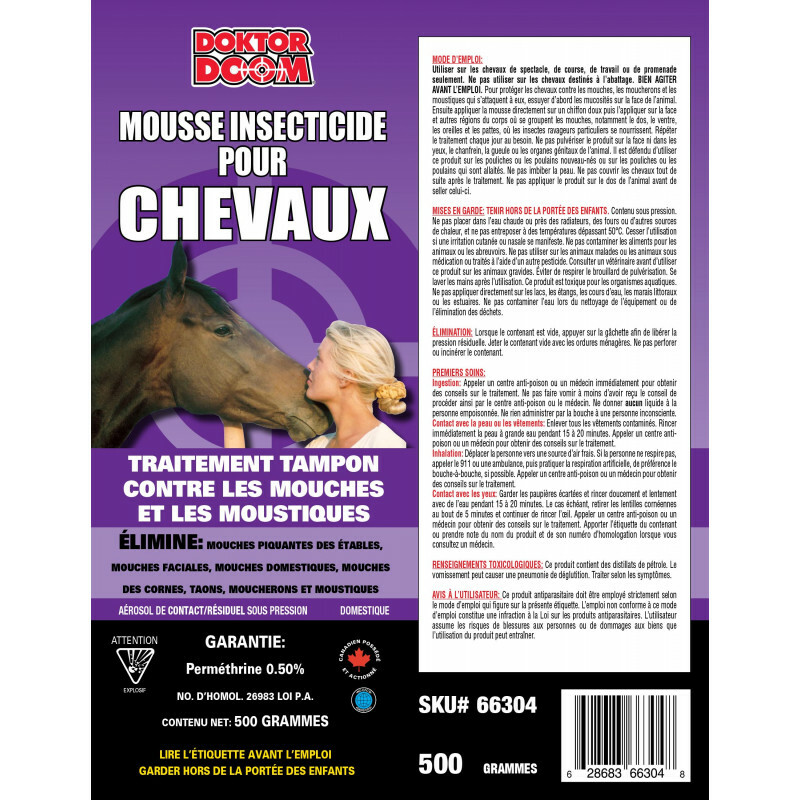 ►Do not apply in direct sunlight-early in the morning or later in the evening. 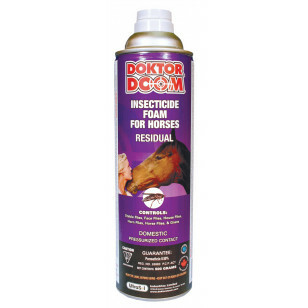 ► For best results apply after exercising, cooling down and grooming-just prior to releasing to pasture. 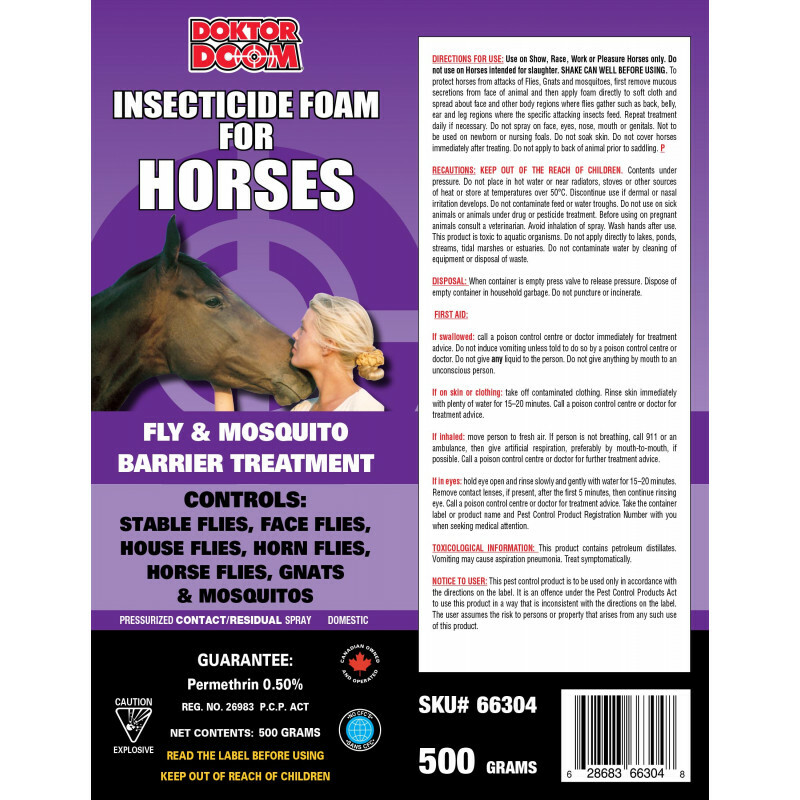 ► Kills and repels Mosquitoes, Horse Flies, Face Flies and all other Insects listed on label. ► Conveniently packaged in a 500 Gram aerosol- easily stows in a saddle bag.